BugHerd's integration with Pivotal Tracker will allow you to sync BugHerd tasks to Pivotal Tracker as stories of type 'Bug'. The Pivotal integration can be setup as bi-directional. If you configure the BugHerd Web Hook, then when a BugHerd synced story is modified in Pivotal, it will be updated in BugHerd as well. All of the above data will also be synchronised back to BugHerd, when the Web Hook is correctly configured. To add a Pivotal Tracker integration to your account, select integrations at the top of the BugHerd project management pages. On the Integrations page, find Pivotal Tracker and select "add integration". When asked for your API Key, you can find this on your profile page in Pivotal Tracker, towards the bottom of the page. If there is no token, yet, please click the Create New Token link. Once BugHerd has verified your token, click save to go to the next page. Here you will be able to configure your status mapping. Note: If you don't want to map the statuses you may leave the fields blank. Copy the unique web hook URL provided and paste it into field Web Hook URL on the Pivotal project's integration page. Please ensure you select "v3" if offered a choice of API versions. Once you have clicked Save Web Hook Settings in Pivotal, you can verify that it works using the link on the configuration dialog. If you see a message web hook is active, congratulations, your setup is complete, now if you create or update a task in BugHerd, you will see the change in your Pivotal project! If you experience any issues, help is only a quick message away, please open a support ticket and we'll get back to you as soon as possible. 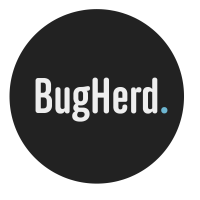 We've been using Pivotal Tracker with BugHerd and it's completely seamless. Really makes life easy, I'm impressed with the ease of use between the two systems. Just completed integration with PivotalTracker. Setup could not be simpler. Transparent and seamless. Nicely done! Hi Jeff, really nice feedback, thank you! Easy to setup, and the sync happened quickly! We tried with JIRA first to see if that platform fit our needs to be integrated with BugHerd, but because it's only one direction, it's not suitable, and we also found JIRA a bit overly complex and somewhat bloated tbh. We are liking the similarities between Pivotal Tracker and BugHerd, and they appear to work nicely together using your integration! Is there any way to setup the integration so that bugs in our Backlog on BugHerd don't automatically appear in the Icebox on Pivotal Tracker? We would like to be able to prioritise and reproduce bugs that land in our Bug Herd backlog before we move them into the todo list and then they appear in Pivotal Tracker. Hi Luke, thanks for your feedback. This is something we might consider for future development. I'm sorry at the moment any bug will be sent to Pivotal and there is no workaround for the process you suggested that I can think of right now. Oh no, I'm looking at evaluating BugHerd and I would love it if issues could be held back from tracker until you want them to go in. Tracker is great but it's so easy for it to get cluttered. We're looking for a tool that we can manage bugs then when we choose to start working on a bug we can push it into tracker. I signed up for the trial and am trying out the integration. Unfortunately there is a major bug when I create a new bug in BugHerd and then move it to the 'todo' column. In tracker the story moves to the unstarted state but does not end up in the backlog so it is essentially invisible. You can only find it if you use the search. It would be much better if it went into the backlog at least. I also can't get updates to tracker to trigger updates in BugHerd. Seemed so promising. these instructions are waaay out of date. There is no "sync all" option any more. How do I do an initial project sync?